Servicing New England's Insurance Needs Since 1928. Selecting the right policies might seem a daunting task, and that is why our knowledgeable, experienced team is here to assist you. At Hadlock Group, we work with you to find you the coverage you need, at the price you want. We cover all types of vehicles, including automobiles, pickup trucks, classic/vintage cars, and sports cars. We also offer protection for a wide variety of recreational vehicles such as motorcycles, motor homes/campers, watercraft, snowmobiles, and ATV’s. No matter what you drive, you and your passengers deserve optimum protection. In New Hampshire......No......BUT.....If you are involved in an automobile accident and cause ANY property damage or injuries and don't have insurance, you could be fined and be required to carry an SR-22 filing. 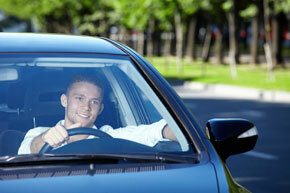 While it is not mandatory to have insurance while driving in New Hampshire, it is required in most all other states. Your vehicle could be impounded and you could be arrested if you are stopped or have an accident while traveling in other states. The end results in most states are similar to a DUI.